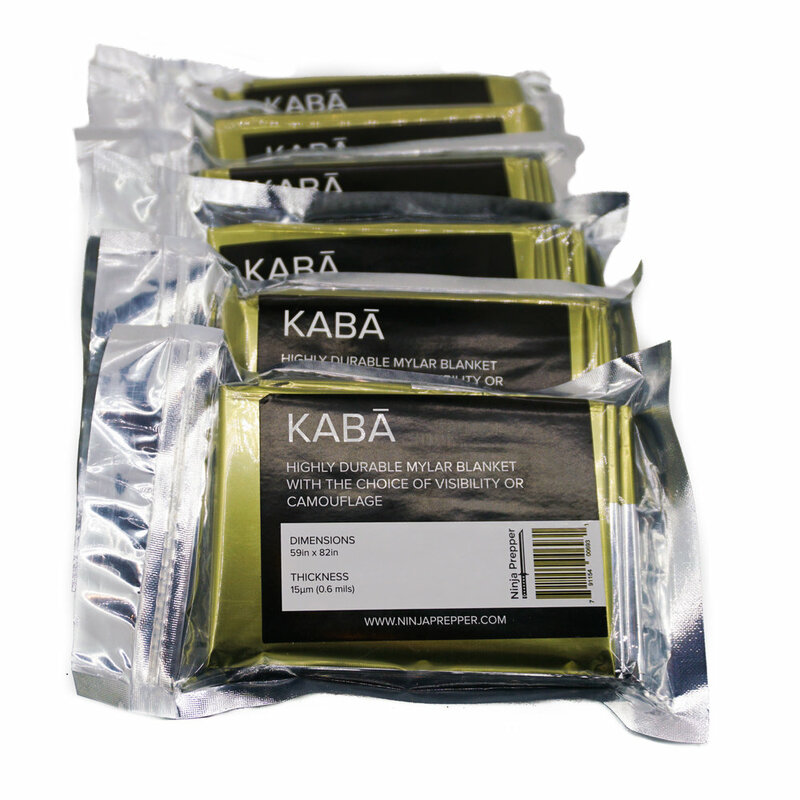 The Kaba emergency mylar blanket is the result of over a year of manufacturing efforts to make the common mylar emergency blanket better. The standard mylar material used in other blankets on the market is 12 micron thickness. Our manufacturing process uses a less common, and more expensive, 15 micron thick mylar. This 25% increase in thickness adds noticable durability to the blanket that matters when you need to build an emergency shelter, or just keep warm. We apply an olive drab (military green) coloring to one side of the mylar and leave the other side a highly reflective silver. The colored side is less reflective and blends in well with green or brown foliage or bush. Expose the colored side to reduce visibility when needed, or expose the silver side to aid in discovery and rescue efforts. Our blanket unfolds to nearly 5 foot by 7 foot. The largest size you'll find in this type of blanket. We weight about 25% more than competitors, due to the additional thickness and quality packaging, but we still come in under 2.6oz. Light enough to keep them with you everywhere.